Earn 7 bonus cash-back points for every $20 for order subtotal $3000.01+! Earn 3 bonus cash-back points for every $10 for order subtotal $2000.01-$3000! Earn 5 bonus cash-back points for every $20 for order subtotal $1500.01-$2000! 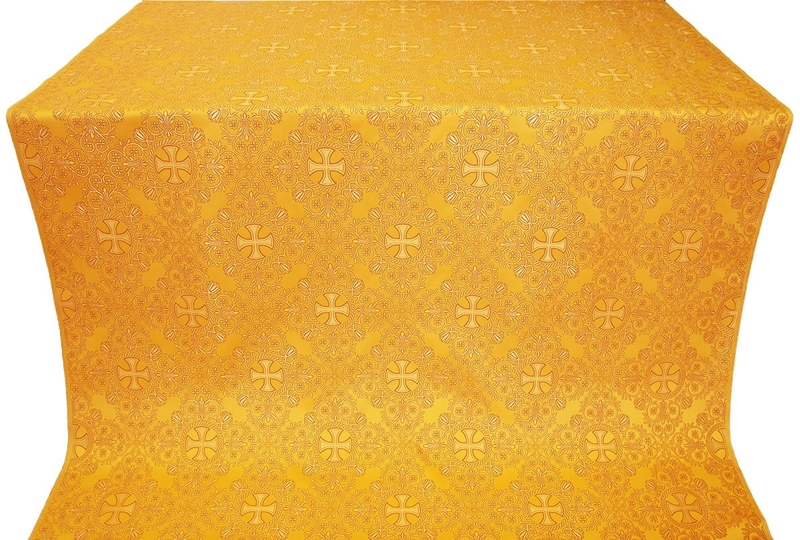 Istok presents an irresistible collection of rayon brocades yellow-gold that are suitable for creating unique liturgical vestments for special ecclesiastical occasions, services and events. 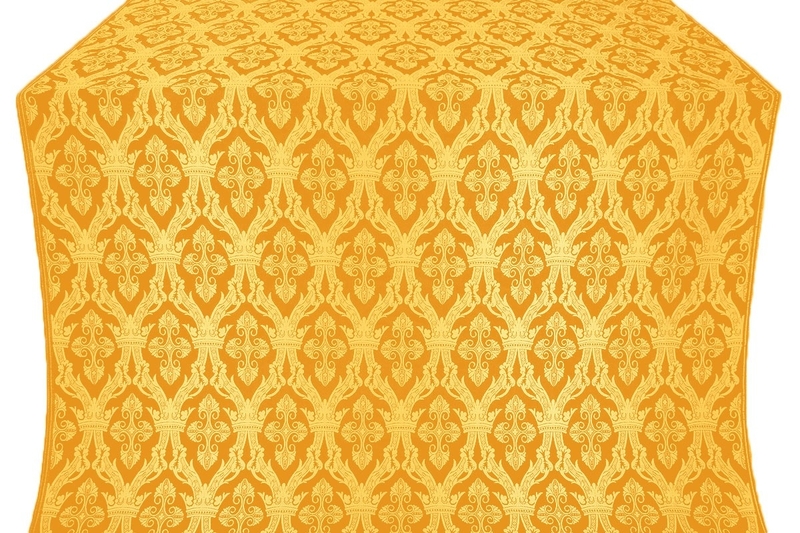 Rich, bold, striking – these are just a few adjectives that come to mind while customers go through our collection of beautiful rayon brocades yellow-gold. 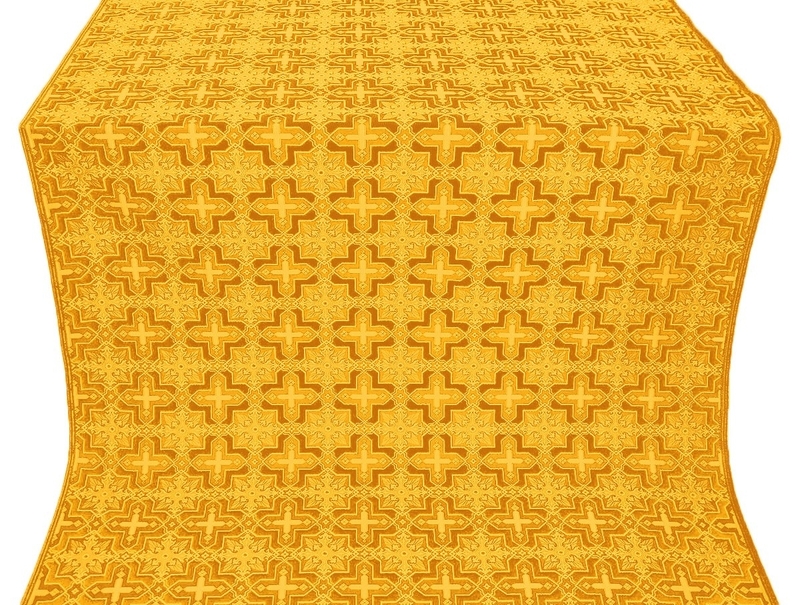 In Orthodox Christian traditions, gold is symbolic of gifts of the Holy Spirit and our rayon brocades with yellow and gold combination are ideal for celebrating feasts and days related to Our Savior Jesus Christ, Holy Hierarchs and Apostles. 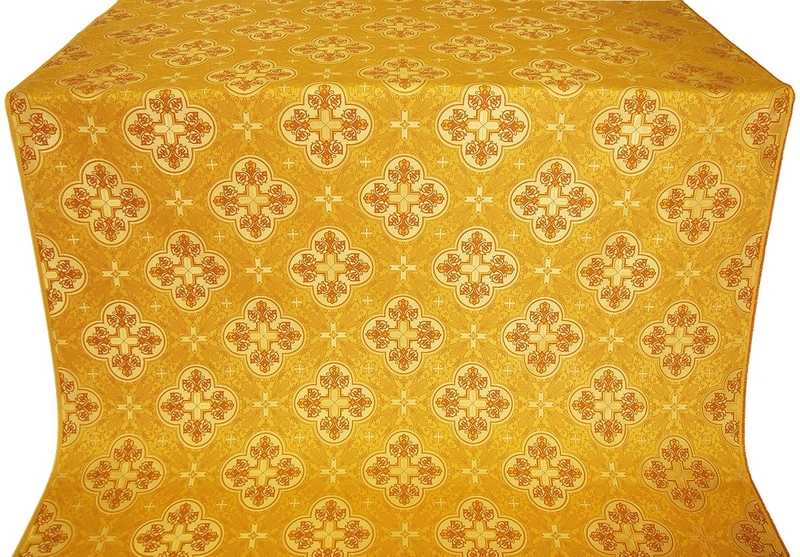 Characteristics such as a beautiful pattern, color combination, texture, finish and dazzling reflection all blend together in our gorgeous rayon brocades. We do everything possible to provide a hassle free online shopping experience for our patrons. 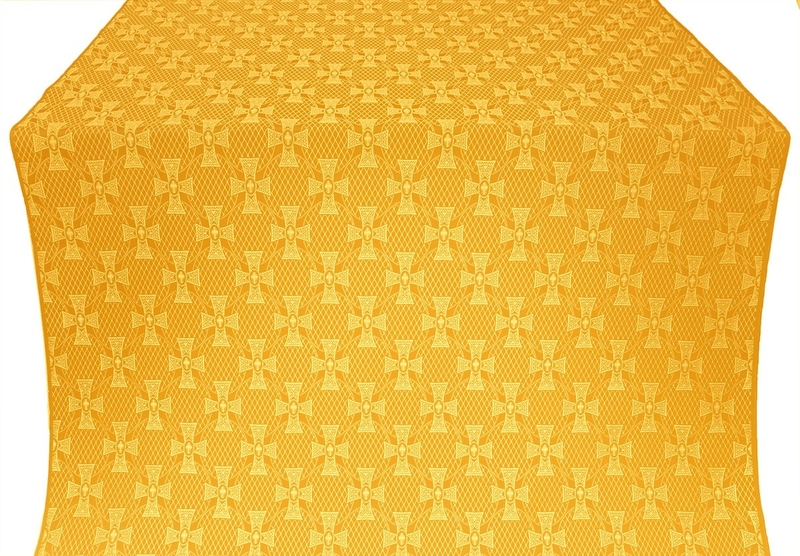 Each product listed has its own unique pattern and is beautiful in its own special way. 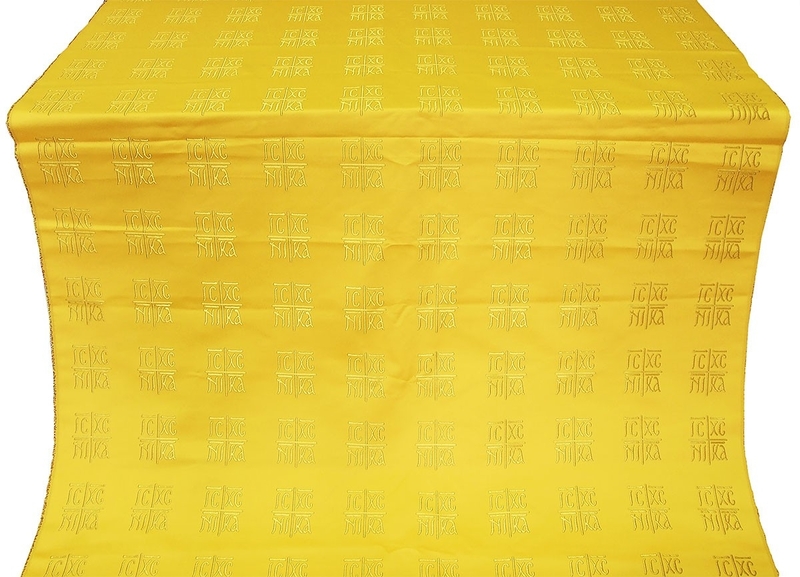 Each product is accompanied by an image which can be enhanced and details such as weight of fabric, dimensions etc. 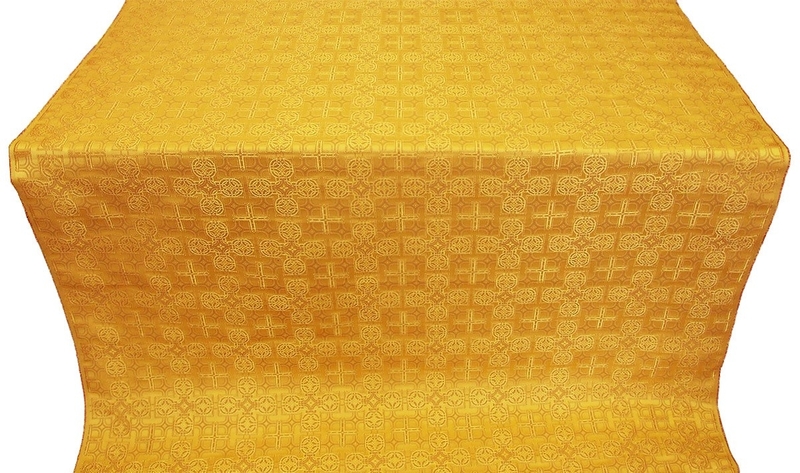 We offer our rayon brocades in a wide variety of price points so customers can purchase according to their church requirements, budget and other considerations. We provide them at discounted prices in order to make them affordable to our customers. 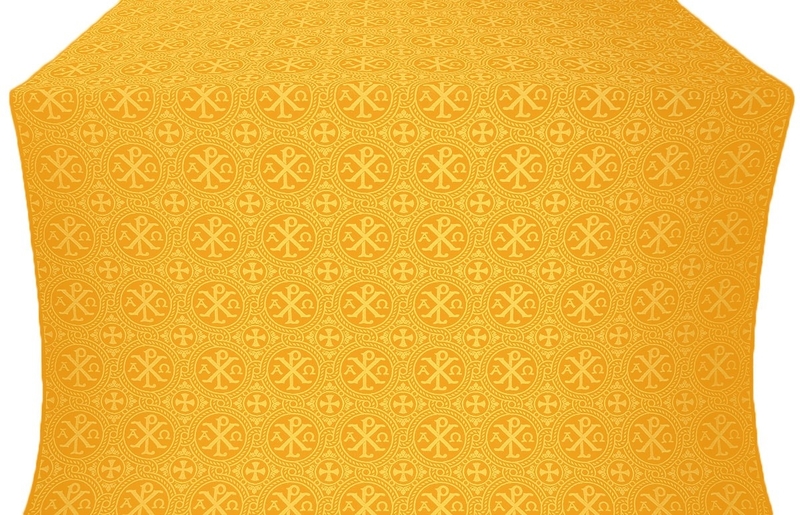 What can you do after you’ve purchased a rayon brocade yellow-gold? It’s not meant to be stored away in a cupboard. 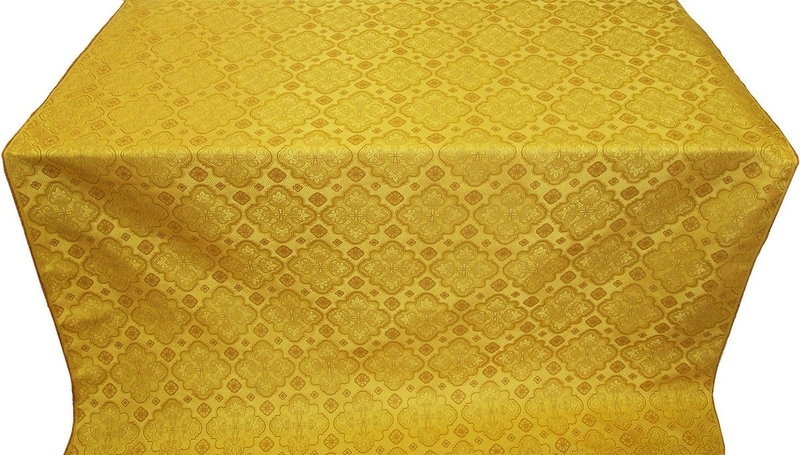 Rayon brocade is a versatile fabric and there are innumerable possibilities as to what you can do with it. 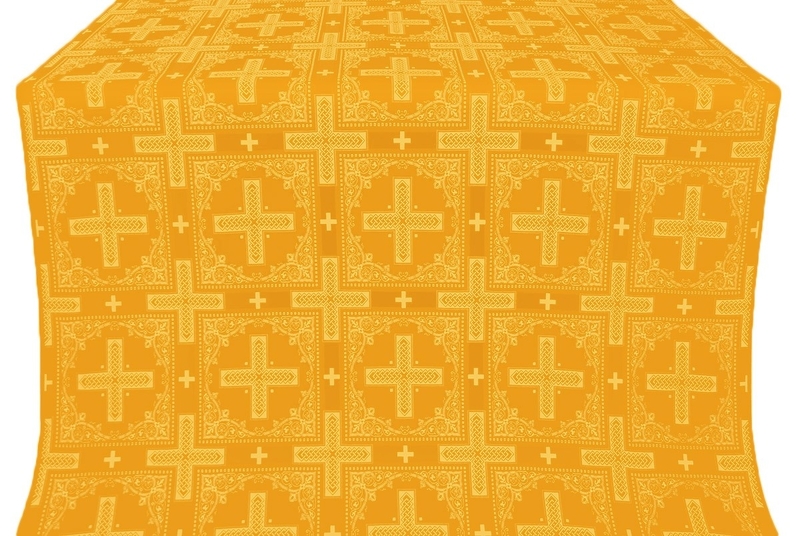 Whether you want to use the fabric to construct unique liturgical vestments in Greek or Russian style, our ecclesiastical rayon brocades are up to the task. They are suitable for creating all kinds of clergy vestments including Bishop’s vestments, Deacon’s vestments, and Sub Deacon’s vestments and so on. You may choose to undertake construct a liturgical vestment on your own or commission us for the purpose. 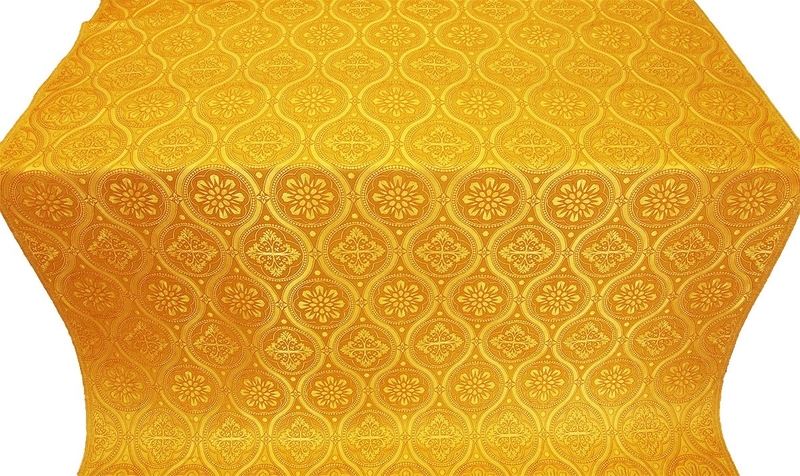 We look forward to helping you create unique and beautiful liturgical vestments with our rayon brocades of long lasting beauty. What are Events on Istok? You are doing a wonderful job! I placed some vestment orders as gifts for a fellow priest. He opened his gifts yesterday and was immensely pleased with your vestments. Thank you for your continuing fine work. Thankyou for your fine service! My new vestment has arrived and it is absolutely beautiful. Many thanks to Istok's team. Dear Istok. I received the deaconâ€™s vestments late last evening and they turned out to be very beautiful and fit well. Thank you for your patience and for following up on this order. 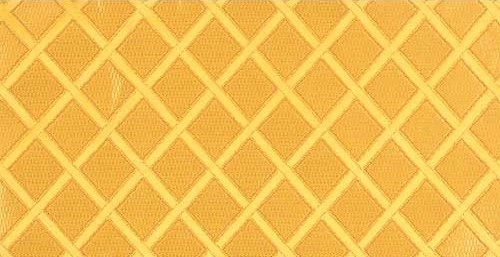 I am delighted with the quality of all vestments I received. God bless you all. My order did arrive and the vestments are beautiful...hopefully I will be ordering additional items from you. You can conveniently see them on the What's New page. Tip: Use your Bonus Points to pay for your future order by converting them into a Gift Certificate in your personal profile. Istok Church Supplies Corp. Suite 4029, 918-16 Ave. NW, Calgary, AB, Canada T2M 0K3. Copyright © 1999-2019 Istok Church Supplies Corp.